This month from AMI clubwear I have received quite a few amazing pieces this month from AMI clubwear and I wanted to share them with you. 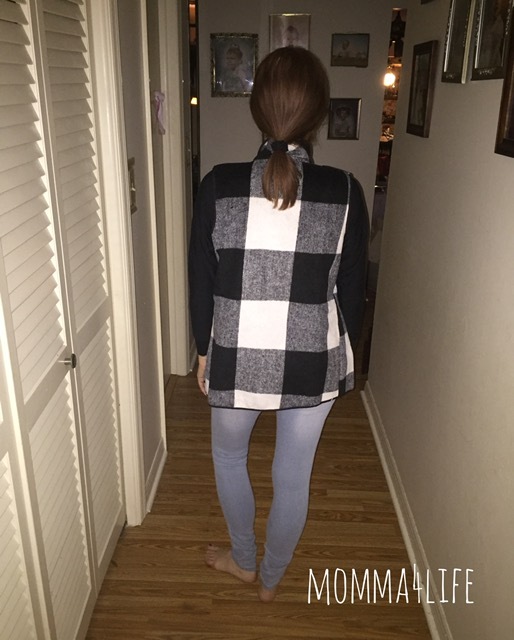 It is that time of year we're we are transitioning from winter to springtime and the weather is just kind of weird everywhere so some of the items I received are a few pair of jeans, A cute white top, and this cute black and white checkered vest. 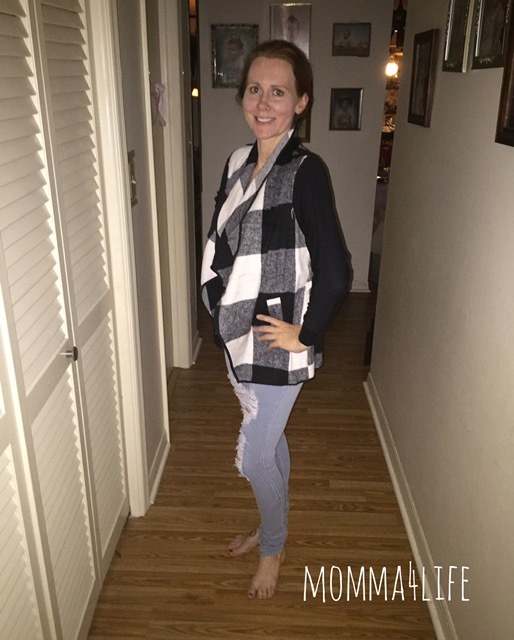 One of the first items I received that I want to talk about is this cute white and black checkered vest this vest is very versatile you can wear it during the fall, winter, and summer and spring as well. To fix it up for the springtime you can wear a tank top or short sleeve shirt underneath this will keep this cooler and not hot during these months. 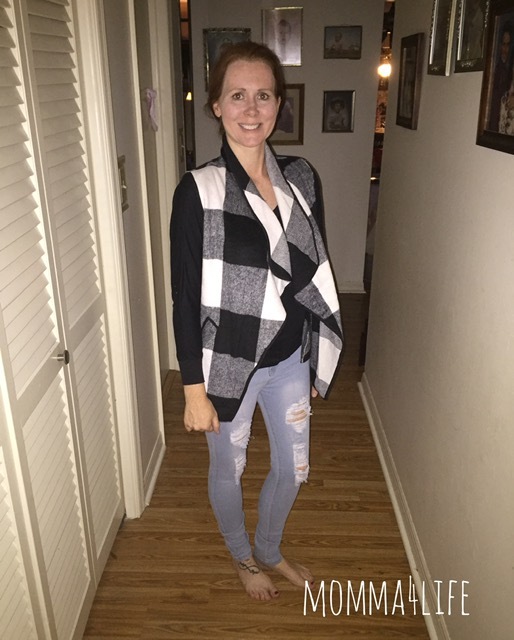 So this vest can also be paired up with a long sleeve undershirt and whatever color you like whether it's white, black, or maybe even turquoise and that pop of color that will just have the whole outfit pop. This top also retails for $39.99 but right now you can get it for $16.00 it comes in a size small, medium, and large. 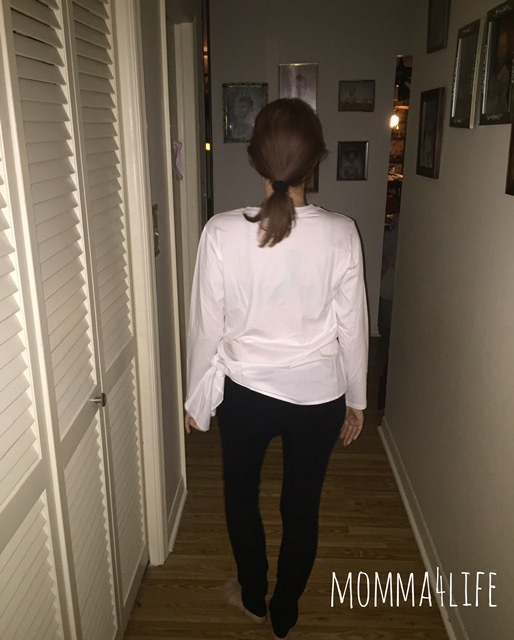 The next item is this beautiful white knotted top it is divided up between two materials and I really love that it has a long sleeve casual knotted detail. It is a polyester/spandex material and is 5% spandex. I love the material on the bottom because it is easy to tie up. Another great transition item from winter to springtime. 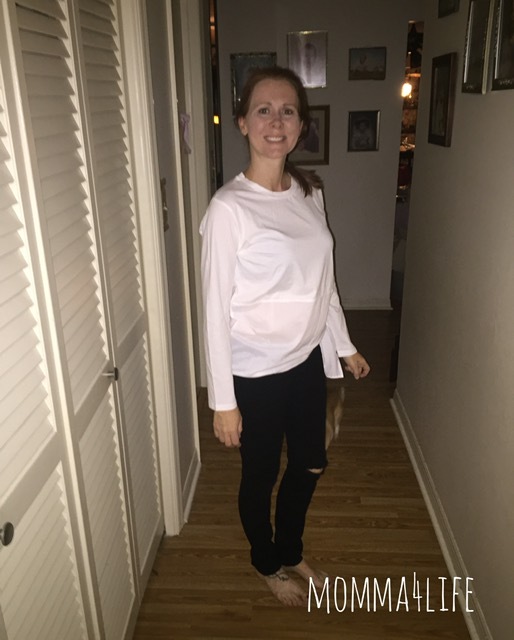 This top can pretty much go with anything it's white so it's going to match everything whether you're wearing jeans, shorts, a skirt, dress pants, and so much more. I would recommend handwashing this item just because of the different types of material it is super easy to do and will save this top from being messed up. 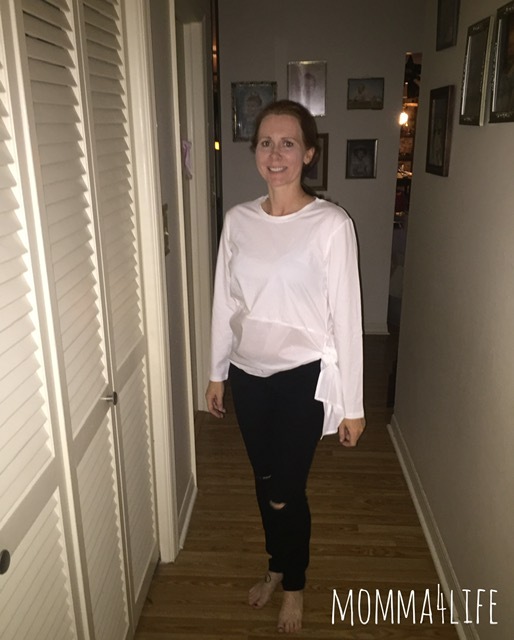 This top retails for $39.99 but right now you can buy it for $9.99 currently this top is out of stock but you can add your email address and they will email you when it is back in stock. The next item I received is this pair of black distressed mid-rise skinny jeans I choose the size Med and these were a bit tight. AMI Clubwear was really good about sending out a large pair ASAP and working with me. I have to say their customer service is amazing and I am very appreciative of everything they do. So with these types of jeans, I would go up a size that is just my opinion because of them being a little bit tighter. After receiving a size large I tried them on and they fit perfect. I am loving the style of these jeans not just because they are black but because of the distressed look in the knees. These fit so comfortable and will go pretty much of anything. These jeans retail for $39.99 however right now you can get them for $9.99 they have right now size small if you wear a different size you can have them email you when they come in stock. 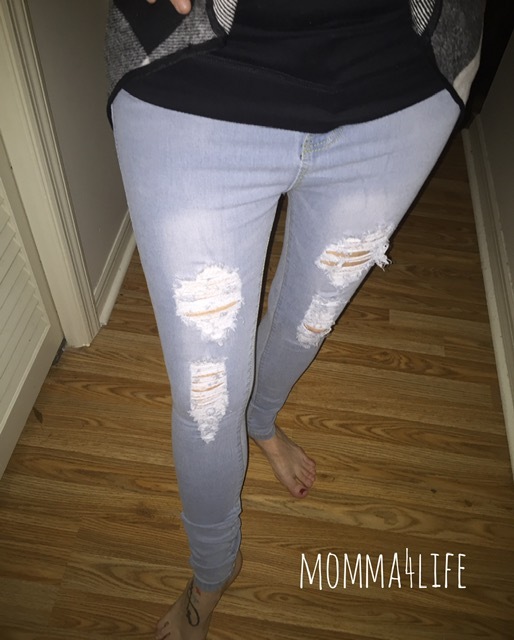 And last but not least I received these light blue denim distressed skinny jeans again with these jeans I picked out a medium and AMI Clubwear worked with me to send the right size. I was able to get a size large to replace the medium. These jeans are super comfortable and I am really excited to wear these. You can wear these jeans with a cute T-shirt or even a dressier shirt, you can also wear them with dress shoes or flats the possibilities are endless.